Best friends Dash and Assaf are sophomores at Tides High, where they author the entire school newspaper. When their editor starts offering Assaf solo assignments, Dash's jealousy prompts him to publish a fictitious story about Assaf having erectile dysfunction. Later, while rummaging through the school archives, Dash discovers records indicating that the building isn't up to code. He tries to warn his schoolmates, but after his slanderous attacks on Assaf, nobody believes him. Then it happens: an earthquake sends the school toppling into the Pacific. 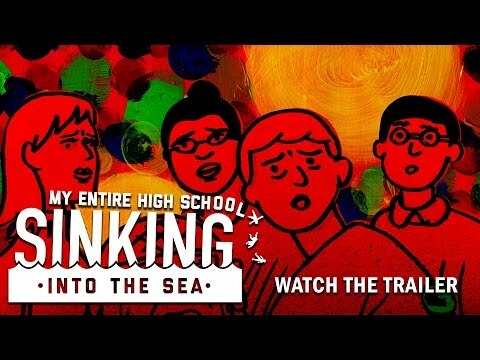 My Entire High School Sinking Into the Sea was released on 440d ago in the UK and the US. Notify me when My Entire High School Sinking Into the Sea is available.